On this date in 1905 Albert Einstein’s paper, “Does the Inertia of a Body Depend Upon Its Energy Content?” was published in the journal Annalen der Physik. This paper explored the relationship between energy and mass via Special Relativity, and, thus, led to the mass–energy equivalence formula E = mc² — arguably the most famous formula in the world. I would also argue that it is the most misunderstood formula in the world, although I notice in researching this post that a lot of physicists in trying to help non-physicists understand it, seriously misrepresent its implications. The problem frequently in trying to explain physics to the mathematically and scientifically challenged is that scientists and science teachers fall back on analogies – often involving cats for some inscrutable reason. The problem, as I have stated many times in many places before, is that analogies can help, but they can also be misleading. 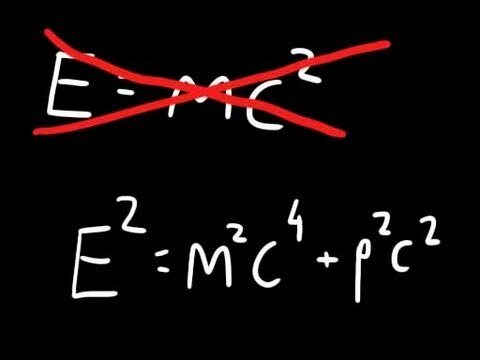 There is a second problem in that E = mc² does not represent the whole story. That’s the part about theory that non-scientists rarely get. Einstein’s theories of relativity, Darwin’s theory of natural selection, etc. are not complete, hence they are called “theories.” No one is seeking radically new alternatives (although some day they might); scientists are just trying to explain messy bits in the theories that cannot be explained now. That’s how Einstein came to unravel Newton. Newton was not totally wrong; it’s just that his “laws” of motion, for example, are incomplete – as stated by Newton they apply only to mass, force, acceleration, etc. as we encounter them in the everyday world. When physicists started looking at interstellar, and subatomic worlds at the turn of the 20th century, Newton’s physics did not work very well for them. That’s when Einstein came along and added bits to Newton to make his equations more encompassing. Here’s a couple of provisos before I get into things more. First, for the non-mathematically inclined I am going to have to be simplistic and in doing so I will have to be a little misleading, or, you might say, downright wrong. The only way to understand physics deeply is to understand the underlying mathematics deeply (which, incidentally, I don’t, although I am better at it than most non-scientists). Second, my usual caveat, I don’t find physics per se very interesting. My son switched from being a physics major to an anthropology major a few years ago for precisely the same reason. Physics does very well in helping us build computers, cell phones, and what not, and I use them all the time. Thanks physics. It is useless when it comes to issues that I really care about such as the existence of God, how to mend a broken heart, and so forth. To be sure, philosophers and theologians can sometimes gain insight into problems they are working on by learning some physics, and vice versa. But the one realm cannot explain the other. Their methods and goals are radically different. When it comes to understanding the formation of the universe as we now know it, I’ll study physics; when it comes to understanding God, I’ll read the Bible and other spiritual texts. Both areas still have a long way to go. The formula E = mc² is incomplete, but let’s stick with it for now. In the formula, E is energy, m is mass, and c is the velocity of light (here it is squared). Most people know that. Where they go drastically wrong is in thinking that mass = matter. That is false. Mass is mass, matter is matter, and energy is energy. 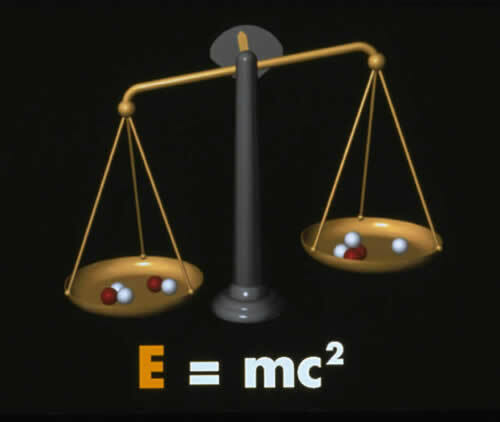 E = mc² does not talk about matter directly, but about the relationship between energy and mass. 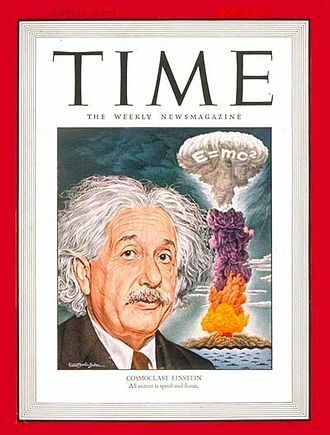 It’s not about the conversion of matter into energy, as most people think the atom bomb or atomic energy are all about (as in the TIME cover photo). Einstein was not involved in the Manhattan project because he lacked the proper security clearance. But even if he had been, E = mc² has very little application in making a bomb. Atomic bombs and atomic energy concern releasing energy within the atom, not converting matter into energy as such. This is a bit of a semantic quibble, but at least you can get the general idea that matter is made up of particles and energy. Under certain conditions it is possible to set the energy free – and a little goes a long way. In a nuclear bomb or energy plant, you are not converting the particles into energy; you are setting energy free that keeps the atoms together. It requires an incredible amount of energy to keep the particles of the atomic nucleus together, so, if you can tear them apart, you can release that energy. That’s why it’s called nuclear energy. You are not converting the particles into energy, you are simply setting it free. The particles remain as particles, just much less organized since nothing is holding them together. 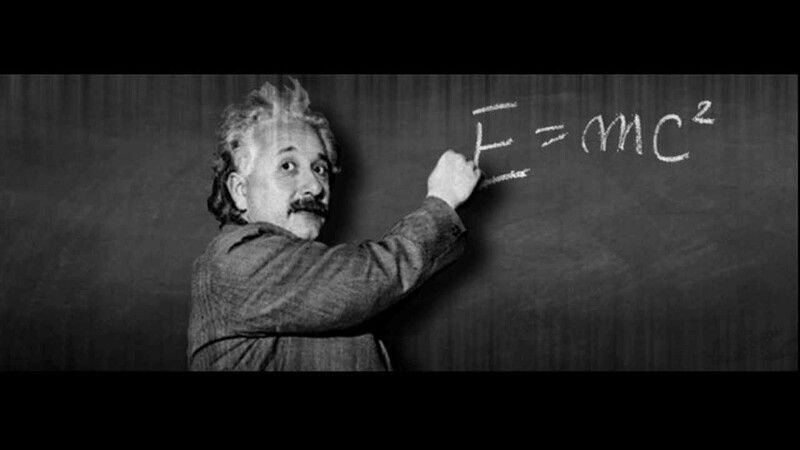 So, then, what is it about E = mc²? It’s simply telling you that energy has mass, but it’s very, very small. Nonetheless, if you add energy to something, you increase its mass. For example, if you accelerate something it gains energy, therefore mass. At usual speeds the increase in mass is minute. But when you start approaching the speed of light you have to increase the energy input enormously, and in so doing, what you are pushing gets enormously massive. That fact is an important component of Special Relativity. Explaining all of this will help you understand why I generally find physics dull. I’ll leave professional physics up to people who care about mathematical puzzles. I am not especially interested in how atomic bombs or cell phones work at a deep level. I’m much more interested in how and why people use (or don’t use) them, and for that kind of question physics is no help. Physics burst on the scene a few years ago in the form of so-called “molecular” gastronomy. I’ve mentioned this fad before as a trend that I feel is more trickery than artistry – a way to amuse the eyes once in a while, but not much of an enhancement on classic cooking techniques. I expect it will vanish ere long. So . . . you can make spherical stuff, and foams, and “instant” frozen things. Big whoop. The equipment to do this is expensive, especially If you are only going to use it occasionally for a flashy dinner party. I will admit that I bought a rechargeable soda siphon once, about 40 years ago, which allowed me to make carbonated liquids – usually water. But it’s a whole lot cheaper to buy carbonated water than to have a machine. If I want something fizzy these days I’ll turn to chemistry and put a little sodium bicarbonate in an acidulated liquid. But I usually only do that when I have an upset stomach. For the sake of completeness, though, here’s a video on making mock fried eggs with mango “yolks” and coconut milk “whites.” I expect they are delicious, but I’ll content myself with the video, and settle for mango balls in coconut milk for my next dessert.